Have been playing with the Irises today. I made a watercolour using some black crayon and, not really satisfied with it, I put it through photo shop and added a dry brush effect. Here’s the result. 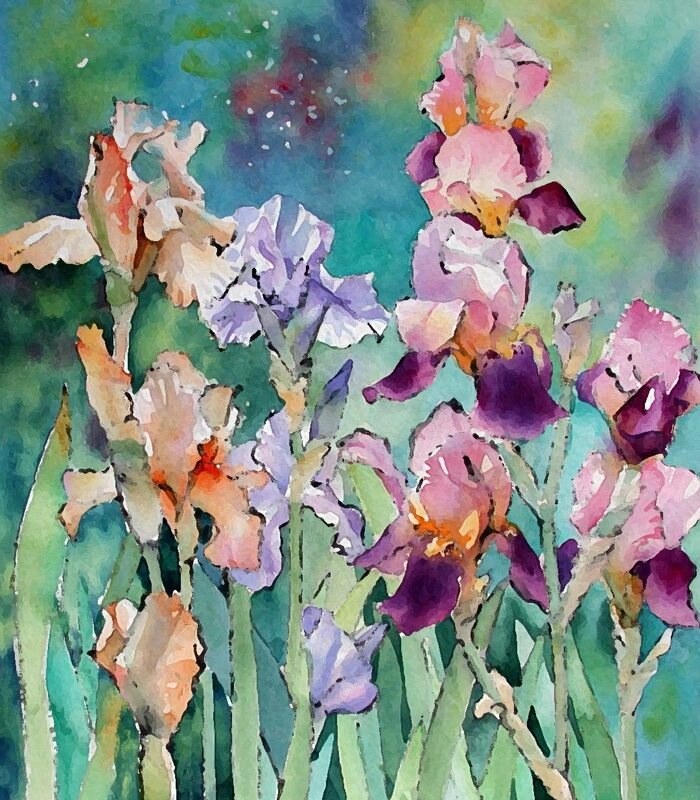 It was good practice for the straight watercolour I will do next of this Irises composition. Hello Ann, I am from PG. Your work is just so beautiful; takes my breath away..
Wow, thanks Carol. Thanks for taking the time to leave a comment! Beautiful. And you caught the very engaging upright, vertical habit of the iris. Well done!